Nowadays, determining the value of your car is subject to what a website calculator tells you. And, as you well know, these calculations don’t factor in everything about your car; they simply provide a rough guess based on the few details you enter. And, of course, we all know that there can be many other contributing factors that boost the value of a car. And, sadly, sentimental value doesn’t count for anything. However, to make a better assessment of how much your car is worth, we’ve put together this handy guide of common questions to help you understand what factors affect the value of your car the most. #1 How much is my car worth if it’s fairly new? In most cases, if you bought a car from new, it will have dropped in value as soon as it left the forecourt. Moreover, if you’ve had it for over 3 years, you can assume it’s lost even more of its value. However, there are factors such as make and model to consider. After all, the more desirable the car, the more it’s worth to someone. The condition and mileage will also contribute to the value of a fairly new car. The less it’s been driven, the better shape it should be in. #2 How much is my car worth if it’s unique? The uniqueness of your car can often come down to opinion. But it should come down to whether its a collectable, one of a kind, rare, or if it’s been modified in such a way that makes it truly stand out from the crowd. Any of these factors could fetch a hefty bid from the right buyer. #3 How much is my car worth if it has optional extras? At the time of buying your car, you may have chosen some optional extras that cost you a considerable amount. Now, they will most probably add value to your car, but don’t expect it to be anywhere near to what you paid, unless the extras are particularly special. #4 How much is my car worth if it’s old? There’s a tentative ground between what’s an old car and a classic. The retro, vintage and classic car market is a multi-billion pound industry and your car could fetch you a handsome fee. Although, to see if your car qualifies as a classic, a little more research would be required. But if your car is just old, like a decade old, it will more than likely be showcasing all the signs of wear and tear which devalues a car. Unless it’s been exceptionally well looked after. #5 Does the colour affect how much my car is worth? Like anybody, you’ve probably got your own preferences when it comes to colours and car lovers are no different. Without a doubt, colour can add personality to a car. They can also make it seem more luxurious. Black, in particular can add value to certain cars. More vibrant and garish colours will reduce your target audience and may lessen your asking price in return. #6 How much is my car worth if it has an MOT? Obviously, it’s preferable for a car to be bought or sold with a recent MOT as it saves any hassle and puts to bed any potential queries about the condition or performance of the car. #7 How much is my car worth with a full service history? 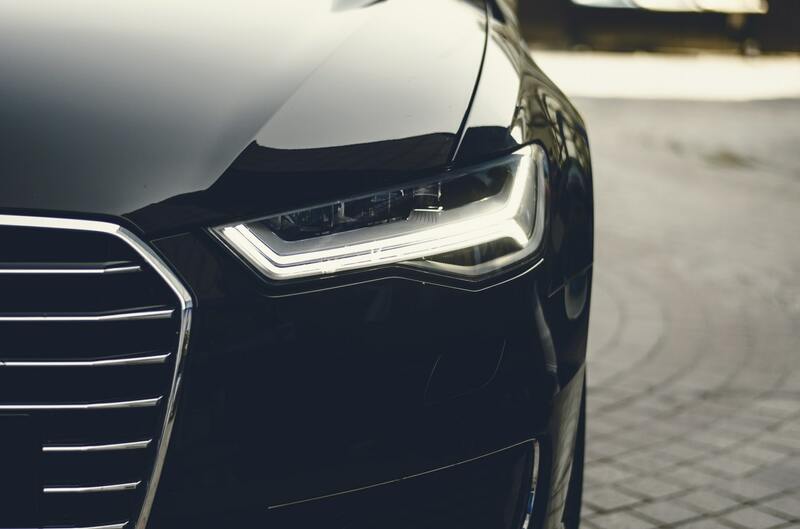 Any paperwork proving or evidencing a car’s service history and the works carried out on it definitely makes it more appealing and therefore more valuable. #8 How much is my car worth if it’s been modified? Understandably, it will depend on the types of modifications that have been carried out as they may not be to everyone’s tastes. Modifications, in terms of mechanical, are usually beneficial to the car’s performance and therefore likely to add value. Cosmetic alterations are often subjective and can prove a sticking point for some buyers. #9 How much is my car worth if it’s damaged? This will depend on the severity of the damage. Minor scrapes, scratches and bumps can be fixed without too much expense. Missing fixtures are replaceable but can be costly. Damage of any interior can also be amended without too much trouble. However, if it’s mechanical faults which damage the performance of the car, you may be lucky to get anything out of it at all. #10 How can I maximise the value of my car? To make your car as attractive as possible to a wider range of people, consider how you’d like a car to be presented, if you were the buyer. Make mandatory checks on the tyres, wheels, windows to see if you can notice anything that may put a buyer off. Buffing out scratches or polishing your car will add value to its appearance. Clean both the exterior and interior to a professional standard. Essentially, if you pay to fix any minor problems, it could have a major impact on what your car is worth overall. So, how much is your car worth? If you’ve taken care to attend to the above points to the best of your ability, you should’ve added value. However, a car’s valuation does not mean that you can necessarily acquire this amount, especially if you are using it as a trade in to a dealership. Bear in mind that they need to make a profit on it, so will offer you less than what you’re maybe expecting. Another option is to sell privately and haggle your way to the asking price. Just remember, don’t let the your attachment to your pride and joy blind your valuation!